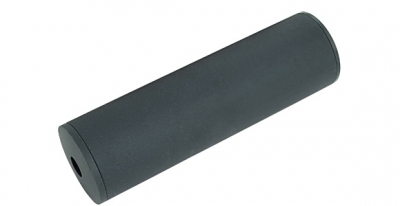 The suppressor we use on the CXP-HOG SD is MP-66 (http://www.icsbb.com/product/mp-66-ces-sd-suppressor-ccw-14mm/). If your customer wants to fit it on the ICS-322, he would need to remove the rails. Otherwise the bottom of the rails might not allow the suppressor to fit into the gun.